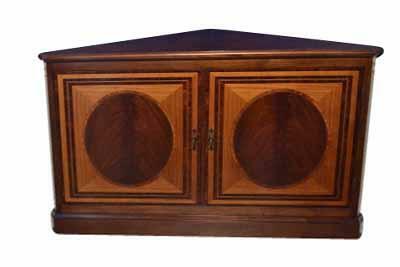 Description: This mahogany corner buffet is a great option for someone looking for added storage in a narrow dining room. 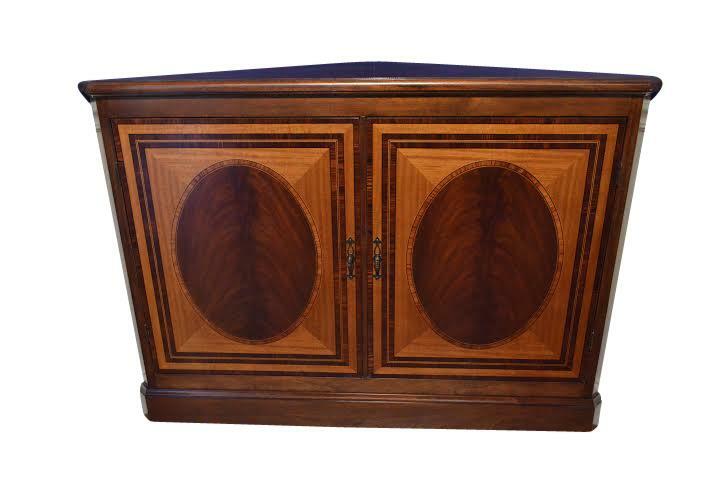 These corner cabinets are both stylish and functional with using a number of different woods in the build including mahogany, rosewood, tulipwood and satinwood. 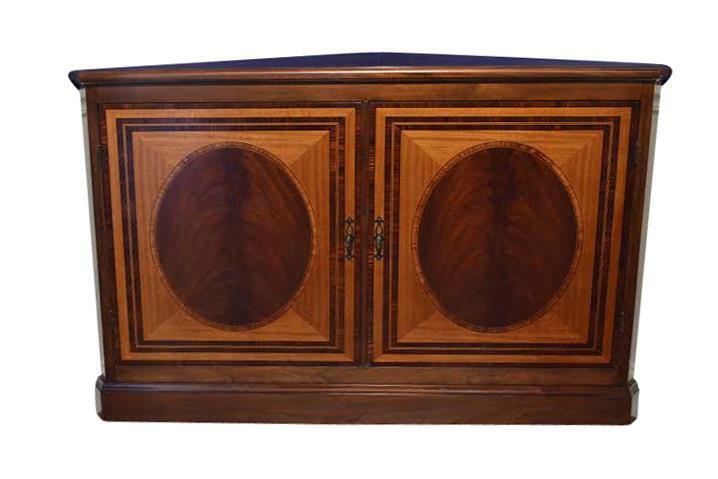 If a sideboard or buffet simply wont work in your dining room this is the way to go.